Hi Everyone! 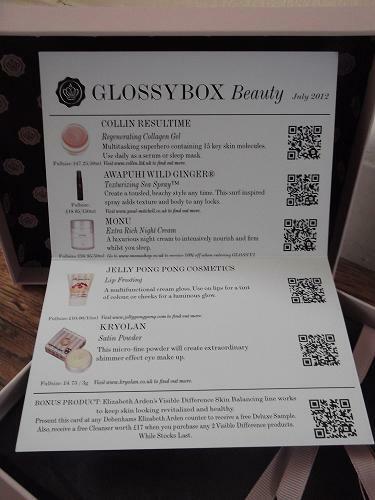 Hope you're well, I have been so busy working for the London 2012 Olympic games this has been my only chance to blog and show you what I received in my first ever Glossybox. Monthly beauty boxes caused a lot of hype in the beauty blogging world around this time last year so I'm aware I'm very late when it comes to trying them out for myself. 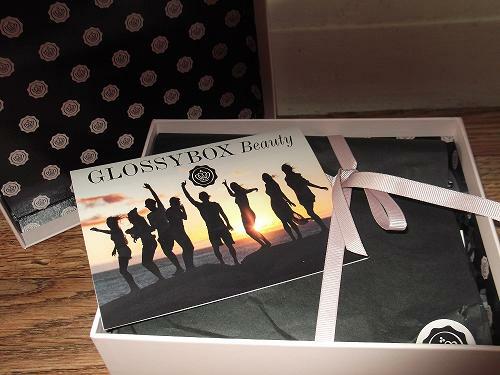 I think I always put the idea off as I didn't want to be disappointed with what I receive in my box after waiting for weeks, but the beauty blogger in me decided to try Glossybox out, probably the best known of them all and as far as I know, the original beauty box. The original is always better than the copy! I placed my order and eagerly waited for the delivery to come. It came three days after placing my order online which is pretty standard and opened it straight away. I couldn't believe just how small it was! I can't complain for only £10 + £2.95 postage and packaging but from photos Glossyboxes look alot bigger! Come to think of it, it would be a bad idea to make a bigger box as there are only miniature products inside them. I absolutely love how it's wrapped so beautifully, it makes you that little more excited to open the box but still careful at the same time when untying the ribbon. I'm not that pleased with what I received as all the products don't seem as well thought out as some other peoples boxes and I hear people got given the infamous HD Brows palette. Jel. Collin Resultime Regenrating Collagen Gel £47.25/50ml - I like the idea of this being a regenerating collagen gel to make my crows feet lines a little less visible. I'm apprehensive that any type of collagen gels work to the degree which they promise so I'm excited to try and review this. It can be used daily as a serum or as a mask while I sleep. I'll report back if I find this to be good! Awapuhi Wild Ginger Texturising Sea Spray £18.95/150ml - I absolutely love to use Paul Mitchell products, I really enjoy using the cleansing purple shampoo. I'd never seen the new Wild Ginger range, and this promises to create a tousled, beachy style by adding texture and body to hair. I love the look of loose waves, so I'm excited to tell you what I thought of it. Monu Extra Rich Night Cream £36.95/50ml - I think that this more or less has the same effect as the Collin Reslutime Gel which I received. It's a luxurious treatment which intensively nourishes and firms while you sleep. As I mentioned I'm always sceptical as to whether firming creams work, so I'll test this cautiously. Jelly Pong Pong Lip Frosting £10.00/15ml - I haven't ever been keen on the idea of a lip frost, as I find the finished effect the look a bit old school and remind me of Year 3 and 4. But I love that this is multifunctional and can double up as a blush, and I absolutely love the way it smells. Kryolan Satin Powder £4.95/3g - This was the only product I was a little excited about as I love having colourful eye make-up especially throughout Summer. I love the look of it and the colour is a rich burnt orange,so am really looking forward to trying it out. Elizabeth Arden Visible Difference Skin - This was a bonus product added to Glossybox this month, and after using Elizabeth Arden in the past and liking it I'm looking forward to trying the sample sizes of skincare. 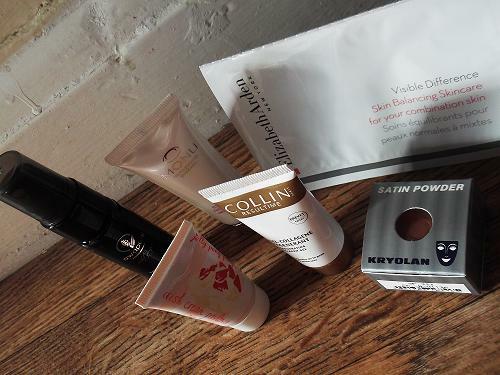 Overall, I'm not too disappointed with what I received in my first Glossybox. I'm not giving in and will give it another few goes to wow me. 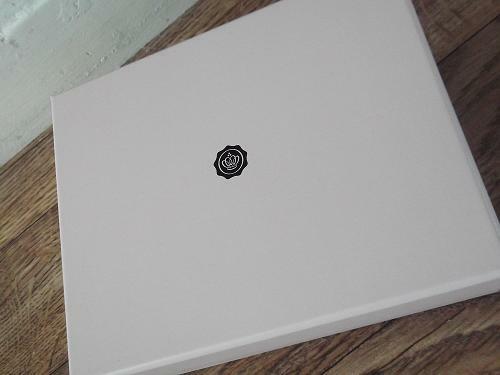 What did you get in your Glossybox this month? Ahh what have you been doing at the olympics? Ive never tried the subscriptions just incase I was totally disappointed. If you have a minute please check out my entry to the fashionvouchers.com competition.. there's still time to enter if you're interested too!